This park is known for its sheer bluffs, narrow ridges, rolling water and abundant mixed forest. The area is on the National Register of Historic Places. There was once a gristmill, sawmill and powerhouse on this site. The park is home to over 300 species of trees, plants and an abundance of wildlife, including the white-faced grey squirrel. 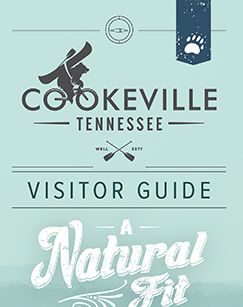 Visitors can enjoy the large Native Butterfly Garden, fish and hike the 1.5-mile round-trip loop to see four waterfalls on the Falling Water River, the tallest being 136 feet. Cummins Falls State Park is an idyllic, but rugged, 211-acre day-use park located nine miles north of Cookeville on the Blackburn Fork State Scenic River on the Eastern Highland Rim. Located in the Cordell Hull Watershed, the area has been a scenic spot and swimming hole for local residents of Jackson and Putnam counties for more than 100 years. Cummins Falls is Tennessee’s eighth largest waterfall in both volume and height. It was also voted the 6th best swimming hole in the nation by Reader’s Choice Magazine.